Expedition is our passion. The ship becomes our base camp for these voyages. “Base camp” is by definition a temporary storing and starting place, from which an activity starts. We ......click here to read more. This is a voyage, with a group of scientists on the ship, who will follow-up on the investigations which Dutch researchers began on Edge&oslash;ya in the 20th century. Academic voyage ......click here to read more. Your unique chance to be part of a true expedition voyage. The Emperor Penguin rookery is situated south of Snow Hill Island. Although we will probably not be able to ......click here to read more. All (sub-)Antarctic highlights in one voyage, with spectacular landing sites on the Falkland Islands and encounters with black-browed albatrosses and rockhopper pinguins. This voyage includes also four days on South ......click here to read more. Don’t miss the chance to see one of Earth’s most wondrous cosmic events in one of Earth’s most fantastic places! An Antarctica viewing of the total solar eclipse is expected ......click here to read more. You board the vessel at midday in Vlissingen and head north. Crossing the North Sea, you stand an excellent chance of spotting minke whales, white-beaked dolphins, and harbour porpoises. Please ......click here to read more. This Polar Circle and Antarctic Peninsula cruise will take you further south of Antarctica, crossing the Polar Circe. This expedition cruise passes through waters travelled by Humpback, Minke and Fin ......click here to read more. 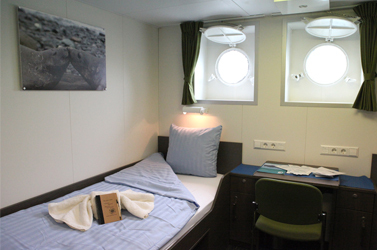 Our first Discovery Cruise voyages to the Ross Sea were successfully completed in 2013. Join us for an new exploratory voyage to Campbell Island, home to the Southern Royal Albatross, ......click here to read more. Sail to the southern parts of the Antarctic Peninsula, Peter I Island, the Bellingshausen and Amundsen Seas into the Ross Sea. Visiting the Ross Ice-shelf, Dry Valleys, McMurdo Station, Macquarie ......click here to read more. A true expedition, our Weddell Sea cruise sets out to explore the range of the Emperor Penguins near Snow Hill Island. We will visit the area via helicopter and see ......click here to read more.